Timothy Dean studied music at Reading University, and then piano and conducting at the Royal College of Music. He then became Chorus Master and Head of Music for Kent Opera where he worked for ten years, conducting a wide repertoire on tour in the UK and abroad, including a cycle of the Britten Church Parables performed at a number of UK festivals in the 1990s. In 1987 he was appointed the first Music Director of British Youth Opera. After that he was instrumental in developing the company into a vital part of the national infrastructure for training young singers and musicians to an advanced level, as well as conducting over twenty productions and many concerts for the company. He was also conductor of the London Bach Society in the late 1980, and was Music Director of The Opera Company from 1990 – 1994. In 1990 he spent a year as Assistant Music Director and Chorus Master with the New D’Oyly Carte Opera Company, conducting on tour in the UK and USA, after which he made company debuts for English National Opera and Scottish Opera. In 1994 he was appointed Head of Opera at the RSAMD in Glasgow, in charge of new postgraduate courses in opera training for singers and repetiteurs. 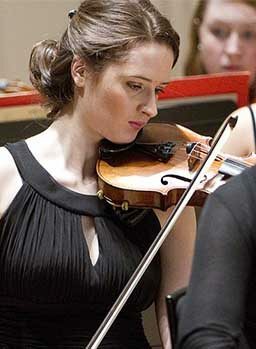 Since moving to Scotland, he has also worked with the RSNO, the Orchestra of Scottish Opera, The English Chamber Orchestra, The Paragon Ensemble and Haddo House Opera, as well as giving concerts with the Symphony Orchestras of both the Junior and Senior Academy, conducting over fifty new opera productions in Glasgow and Edinburgh. From 2000 – 2006 he was Artistic Director of British Youth Opera, of which he is now a Vice-President. He has been Director of the RSNO Chorus since 2006 and is Artistic Director of the RCS ‘Song Studio’. He has also been recently involved in collaborative projects with the Conservatoire in Rostov-on-Don in Russia, conducting performances of Strauss’ ‘Ariadne auf Naxos’ and Britten’s ‘Phaedra’ in 2009 and Prokofiev’s ‘War and Peace’ in 2010 which received a Royal Philharmonic Society Award nomination. In 2013 he conducted ‘Cunning little Vixen’ for the Hong Kong Academy of the Performing Arts and this year he has been Artist-in residence at the Hochschule in Nuremberg. From 2013 he took over responsibilities as Head of the Leverhulme Advanced Conducting programme at the RCS, and will complete his tenure as RSNO Chorus Director at the end of this season with performances of Mahler’s 8th Symphony and conducting the Chorus in concerts in Prague in June. He continues to be active as coach, accompanist, adjudicator and conductor and is now a Fellow of the RCS.